Luis de Miranda, PhD, is a philosopher, historian of ideas and an international author of non-fiction and fiction. His books, for example Who Killed the Poet?, have been translated or are being translated into multiple languages. His essay Being and Neonness was published by MIT Press in 2019, and his Transnational Genealogy of Esprit de Corps will be soon published by Edinburgh University Press. 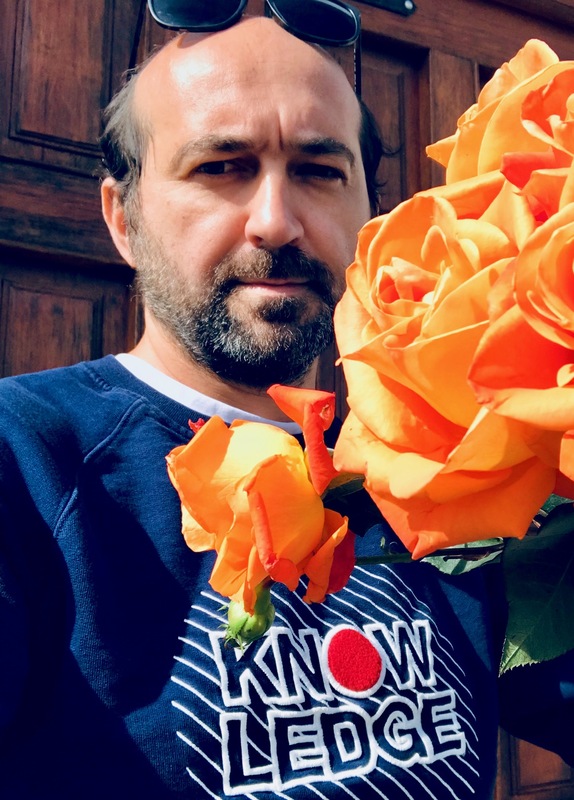 Luis is currently a researcher at Örebro University, Sweden, where he works at the intersection of the humanities and artificial intelligence on anticipatory systems and the concept of anticipation. There he initiated the CREA group (Cross-disciplinary Research on Effectual Anticipation) together with computer scientist and roboticist Prof. Alessandro Saffiotti. Luis authored his first books in French (for example his philosophical history of computers, L’Art d’être libres au temps des automates, or his analysis of capitalism Peut-on jouir du capitalisme? Lacan avec Heidegger et Marx). Shortly after Is a New Life Possible? Deleuze and the Lines was published in English in 2013, he was offered a research scholarship by The University of Edinburgh and in 2017 became a Doctor of Philosophy. His PhD thesis is a histosophy of the idea of esprit de corps. In Edinburgh, Luis de Miranda also initiated interdisciplinary research in AI-Humanities, anthrobotics and the philosophy of technology, within the CRAG group. Luis has a Master (1 and 2) in Philosophy from the Sorbonne University and he also graduated from HEC-Paris in Economics and Management. He was the editorial director of Max Milo Books (Paris) between 2004 and 2012, while an independent author of novels and essays. Even before his proposal of the cosmological concept of Creal in 2008, Luis de Miranda had been interested in process-oriented philosophies (Heraclitus, Hegel, Bergson, Deleuze, Whitehead) and in the intellectual and cultural history of the concept of creation. He is slowly pruning a theory/methodology he calls crealectics, based on the Creal principle as absolute possibility and on the sublation of analytics and dialectics. Between 2009 and 2012, still in Paris, Luis supervised the CRÉEL (Centre de Recherche pour l’Émergence d’une Existence Libre), through which he organised philosophical events, happenings with his “mouvement créaliste” and related book publications. Luis de Miranda is the founder of The Philosophical Parlour, through which, in partnership with the Stockholm psychotherapy institute Livslinjen, he offers occasional personalised philosophical counselling. He is a certified practicing member of the Swedish Society for Philosophical Practice (SSFP). He blogs here.